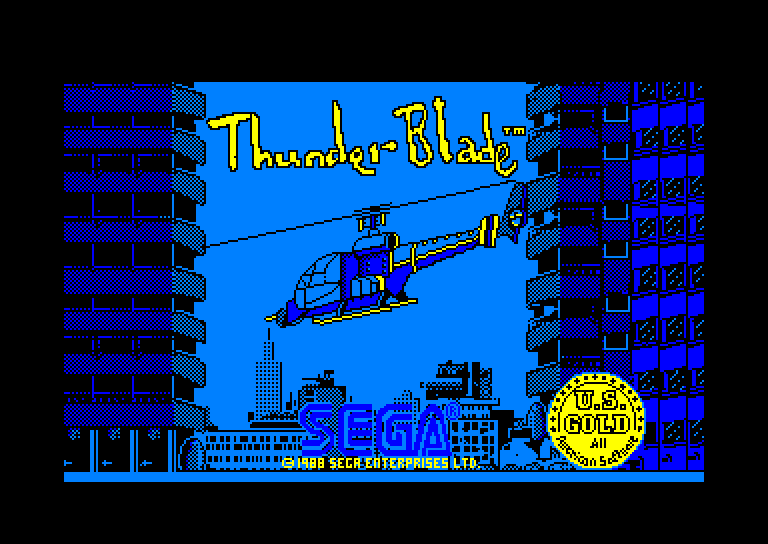 Back to commercial games Xyphoe is showing Thunder Blade, an arcade game by Sega in 1987, converted on Amstrad CPC in 1988. It's a game with 2 phases, either a vertical shoot them up game or with thir person view, piloting a helicopter. Xyhpoe first tests the arcade original game, then the Amstrad CPC version at 5 minutes 30 seconds.